Want to know how to sleep fast? Sleep is essential to good health and too many of us lose hours of sleep each week from lying in bed awake, trying to sleep. This four-week program will teach you the skills you need to sleep faster and better. If you do not fall asleep within 15 minutes of your head hitting the pillow, you are losing valuable sleep time on a daily basis. The average person needs between seven and nine hours of sleep each night, and while some people may be in bed for that long each night, many are not sleeping the whole time. If you can train your body to fall asleep fast, then you could gain 30 to 60 minutes of sleep or more each night. It all starts with changing some habits and developing some new skills. In order to fall asleep faster, you'll need to retrain your body. For four weeks, you’ll break habits that are bad for sleep and develop new skills to help you to fall asleep fast. Some of the habits to change include not reading and watching TV in bed, altering your behaviors in the hour leading up to sleep and working on evening eating habits. Some skills you will develop include relaxation, not languishing in bed and exposing yourself to more daylight. Specifically, you’ll work on the following skills, one each week. Reading, watching TV or even thinking about your day when you get in bed cues your body to believe that something other than sleep needs to happen when you get in bed. Instead, retrain your body to believe that bed is only for sleep by avoiding all other in-bed activities. Help reschedule your body's circadian rhythm for better sleep by increasing light exposure during the day and lowering that exposure at night. That means getting outdoors and using bright lights during the day, and dimming the lights at night—and avoiding bright electronics. Alcohol, stress, and caffeine are all sleep thieves. Avoid them and you'll fall asleep faster. 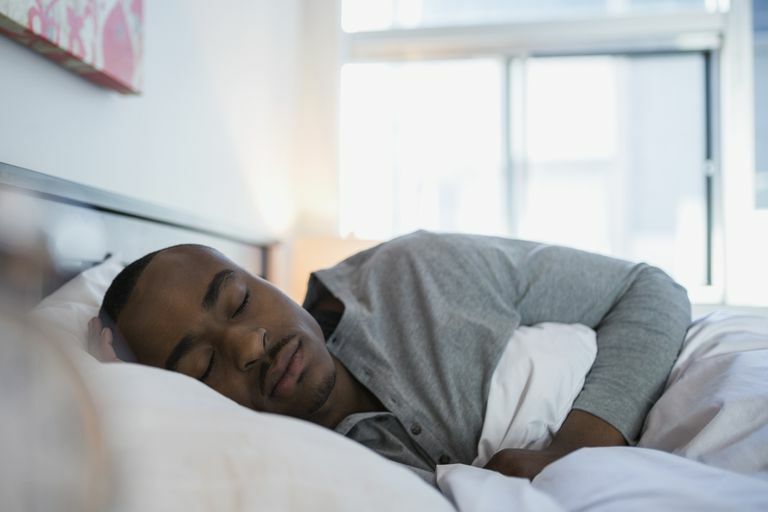 Your body loves habits, and by creating a habit—or ritual—that is strongly associated with sleep, your body will know what to do when you get into bed. Set a bedtime and create a routine that you stick to every night. After four weeks of consciously improving your sleep behaviors, you should be able to fall asleep within minutes. This will add hours of extra sleep each week without changing your daily schedule. You’ll feel more energized, be healthier and be better able to avoid illnesses and health conditions. If you've given each week a good try and your sleep still doesn't improve, you might have sleep disorder and should consider seeing a sleep doctor.